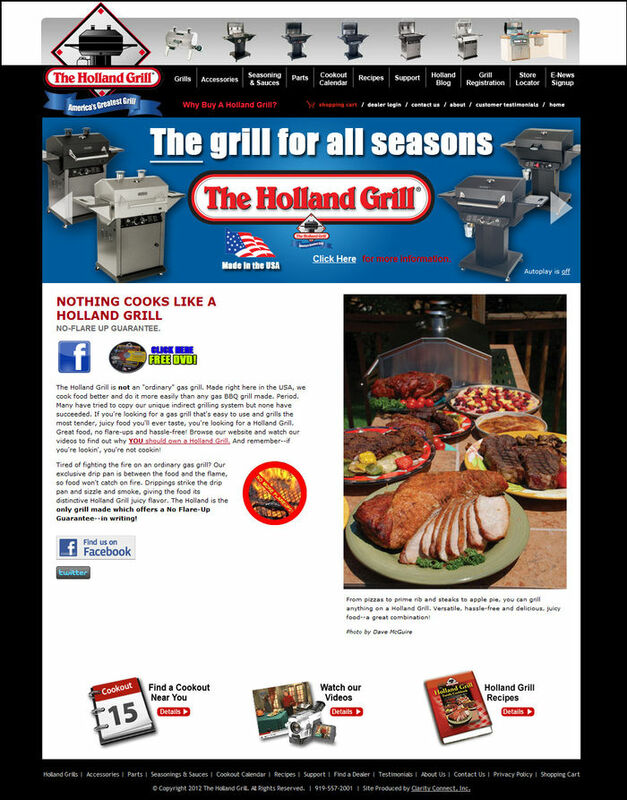 The e-commerce website for Holland Grill was launched in October 2005 and has been very successful. From spare parts & accessories to grills (for those not close to an authorized dealer) online sales have been very robust. Customer can quickly order the right spare part online after selecting their grill model, which is made easy with pictures of all grills, and then the appropriate spare part from a schematic diagram. 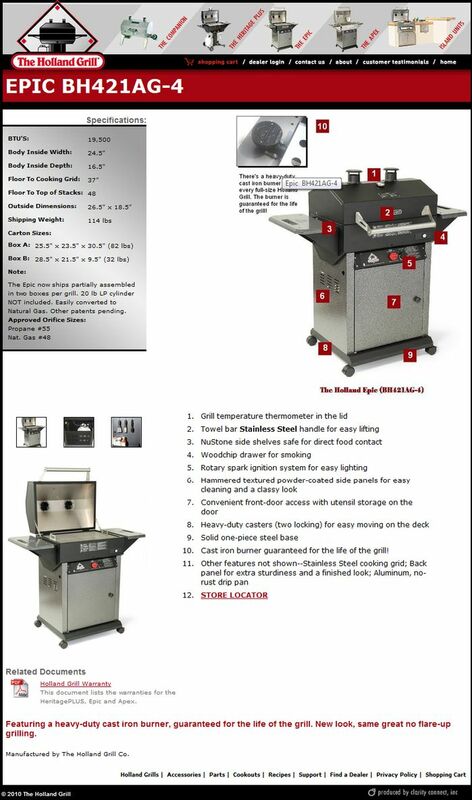 Allow online purchases of grills for customers 50+ miles from the nearest authorized Holland distributor. 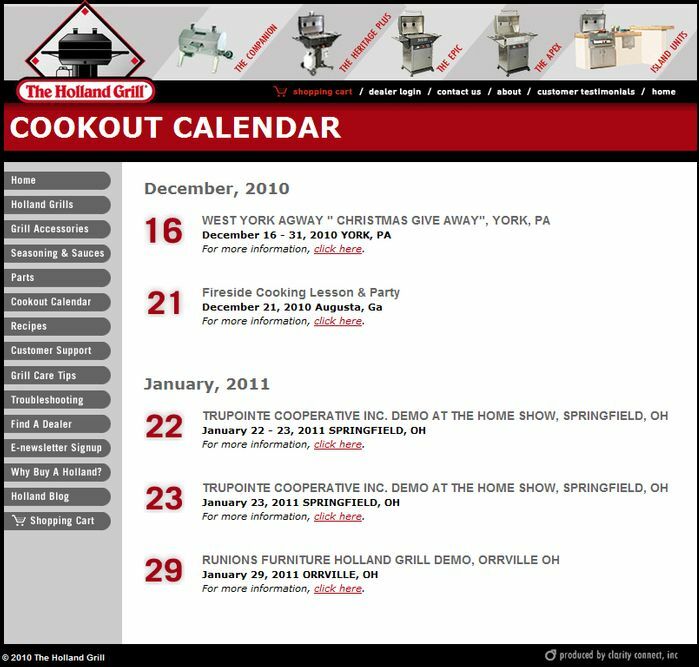 Allow prospects to find a Holland Grill Cookout/Demonstration near them by entering their zip code. Additionally, authorized distributors can login to modify their profile by changing contact information, business description and adding or modifying their logo and images. They can also post cookouts to help draw people into their stores. All of the changes and additions made by the dealer are immediately available on the website. Clarity overhauled an outdated web page into a dynamic, user friendly, easily navigated website. Now we are able to service our customers through comprehensive graphic images that enable even the most challenged user to order a list of parts. Our sales have continued to grow each month with the website designed by Clarity. 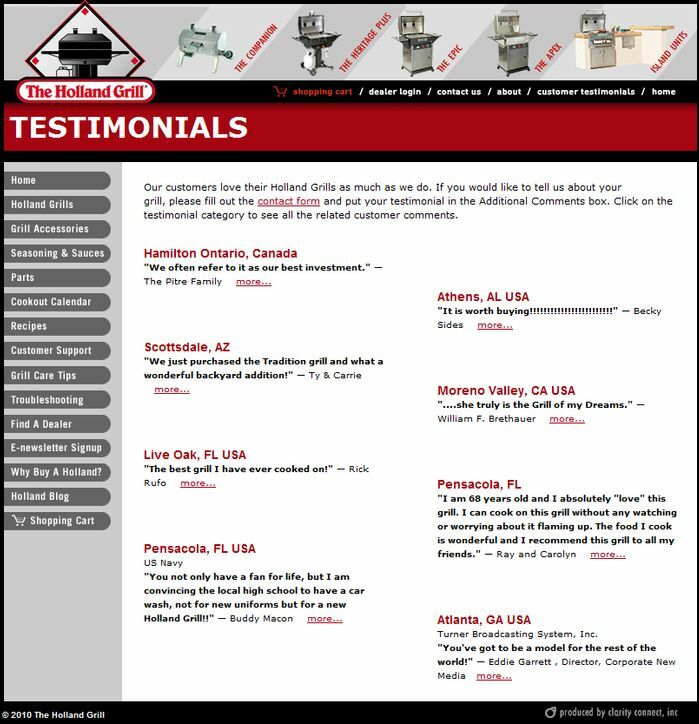 Plus, Timothy has our grill, so he is won over by our product too and his enthusiasm shows in the web page.